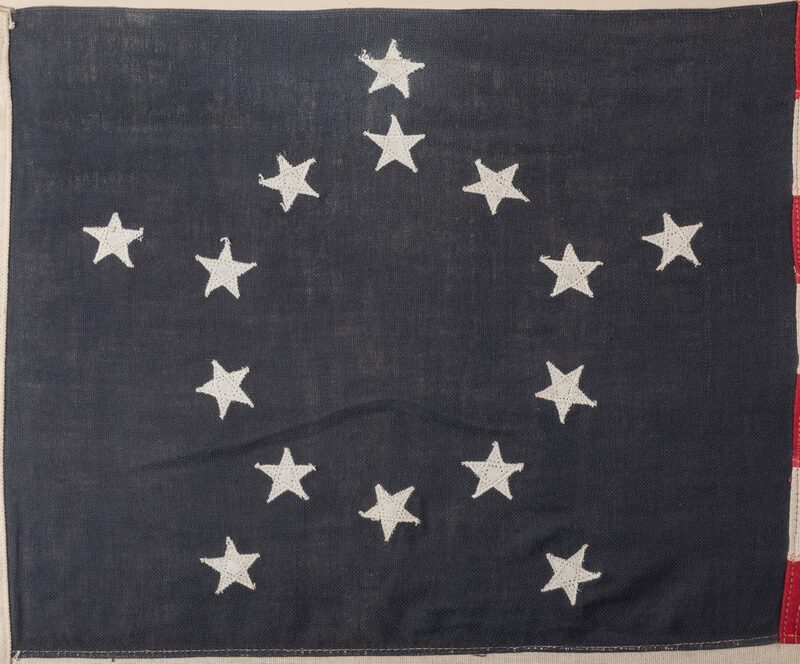 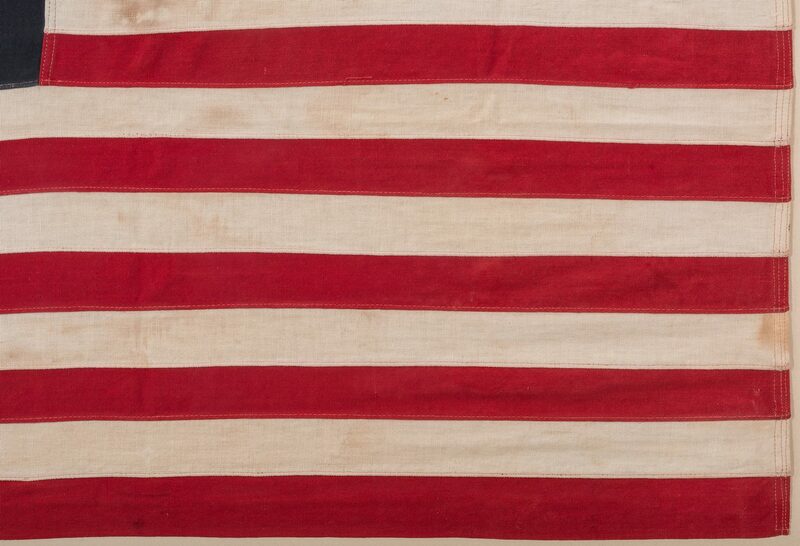 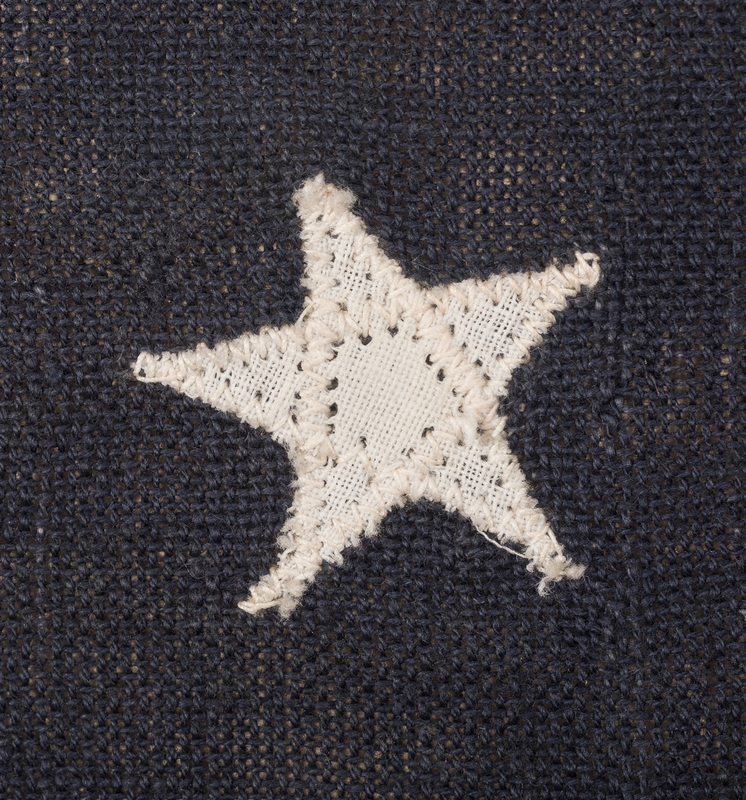 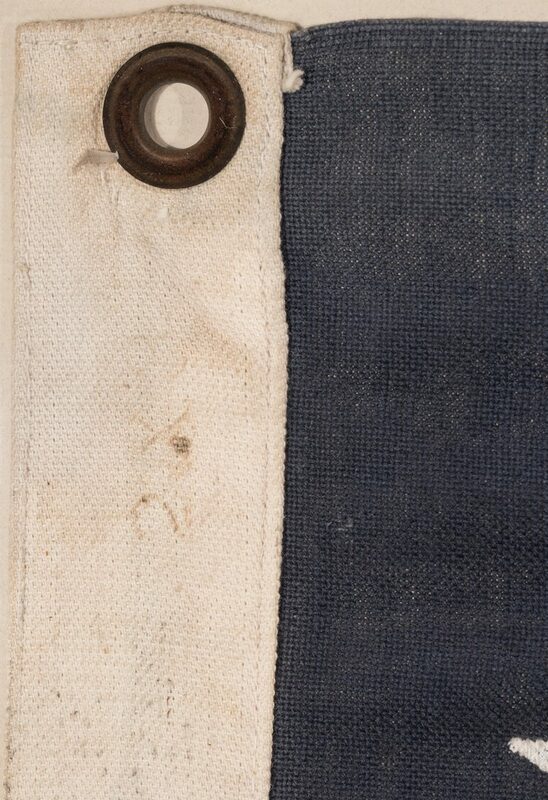 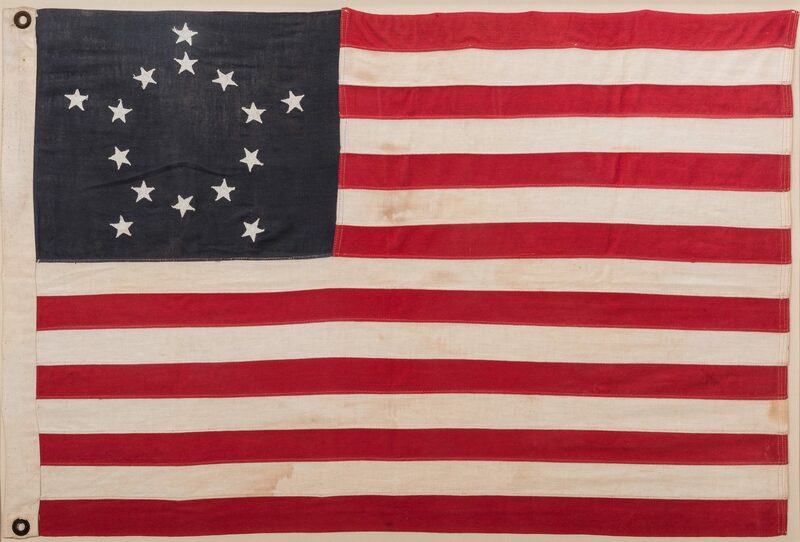 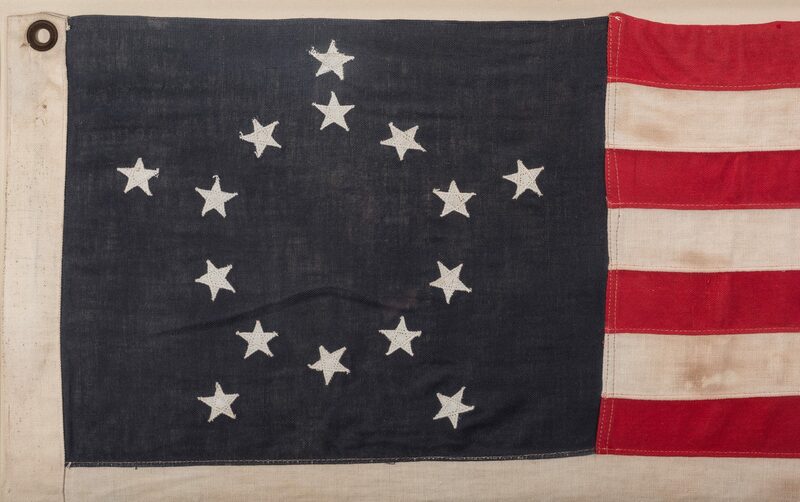 American hand-sewn 15-star Kentucky Statehood Commemoration flag, comprised of applied linen stars in a five pointed star pattern on linen ground with two brass grommets. 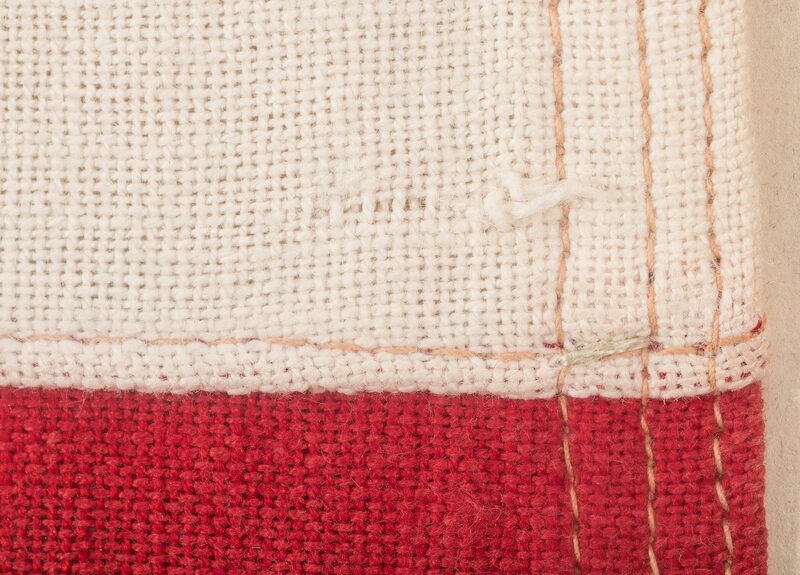 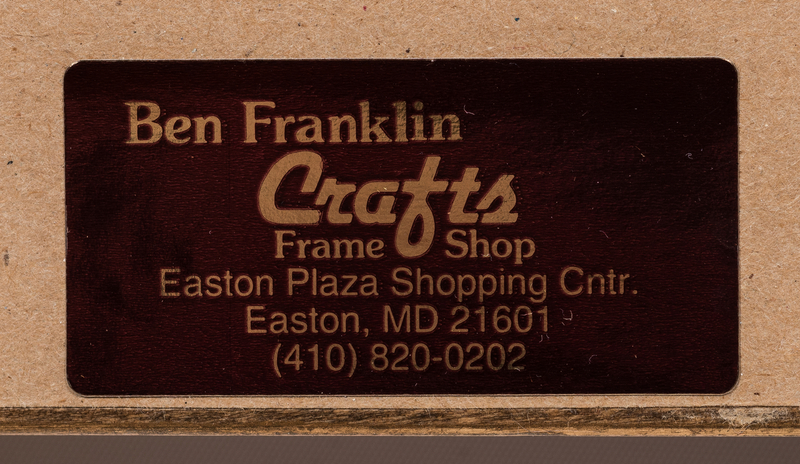 No maker's marks. Housed under glass in a gilt wood frame. 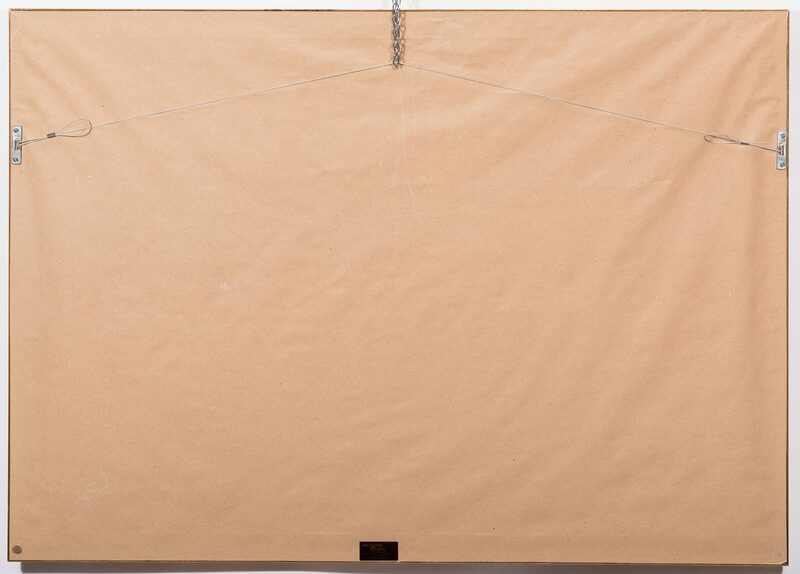 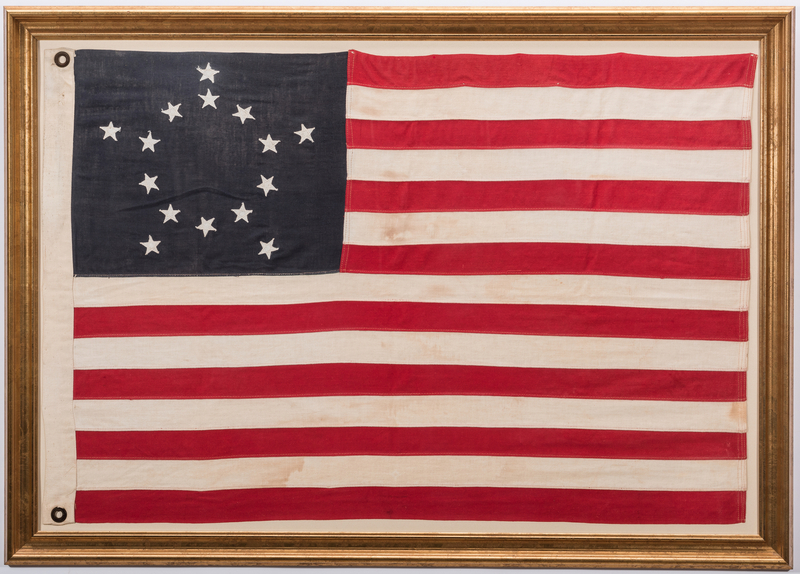 Flag – 24 1/2" H x 36" W. Sight – 25 1/4" H x 36 3/4" W. Framed – 28 3/4" H x 40 1/2" W. Late 19th century. Provenance: Private Crossville, TN collection. 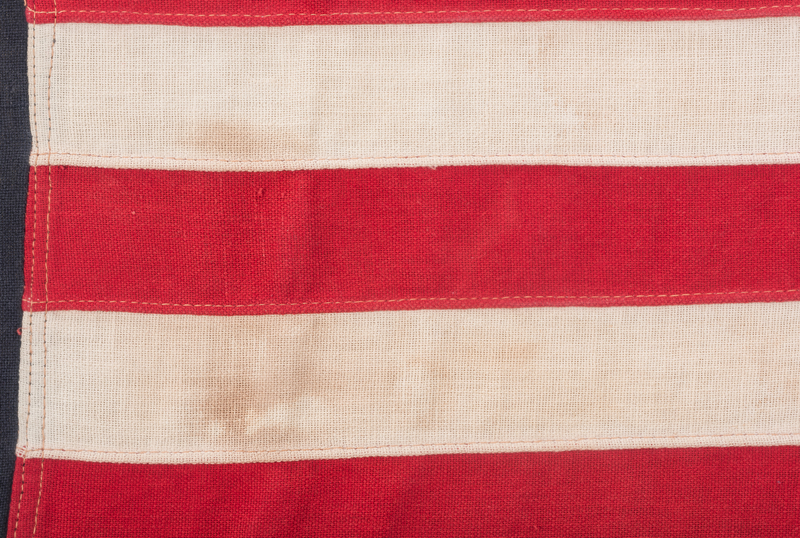 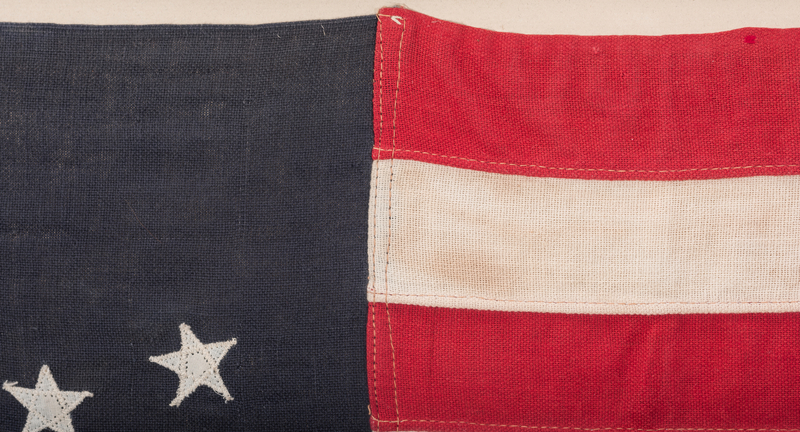 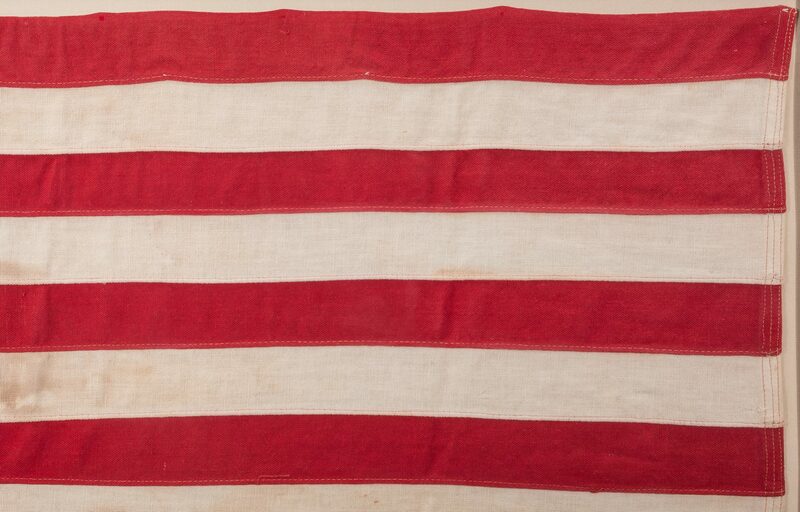 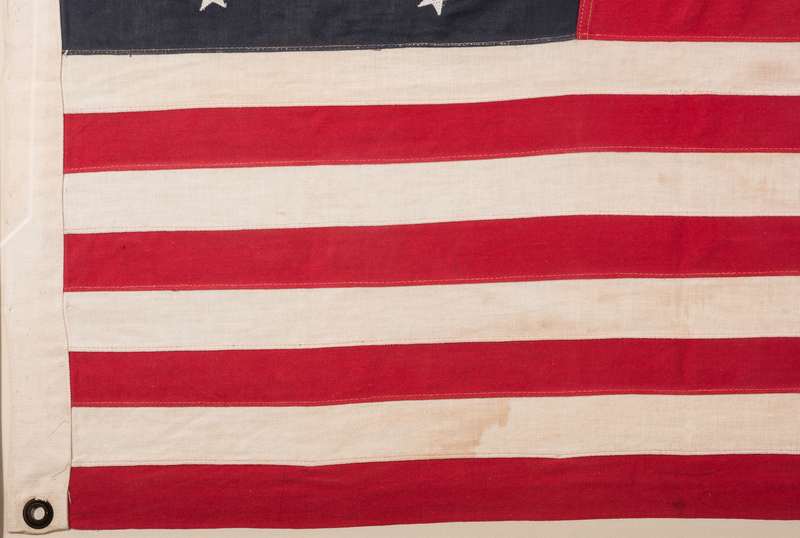 CONDITION: Overall good condition with areas of dampstaining, largest 2" x 4", surface of flag.